No matter how severe or complicated your running injury may be, The Running Injury Recovery Program will show you how you can recover from your injury and become a better and smarter runner. 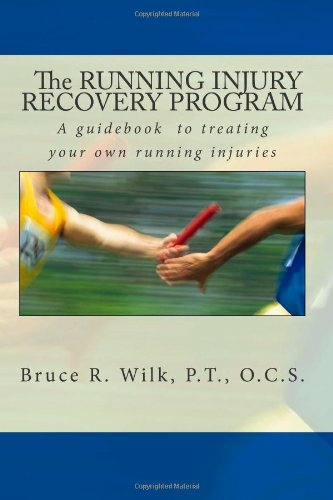 The Running Injury Recovery Program WORKBOOK is the practical workbook for Bruce Wilk's textbook, The Running Injury Recovery Program (SOLD SEPARATELY). If you need to treat a running injury, then you will use both of these books. The Running Injury Recovery Program WORKBOOK will guide you through an individualized, step-by-step recovery program that includes self-assessment, a progressive exercise program, and post-injury running drills, including more than 60 photographs. Your recovery program is individualized to your specific injury and conditions, and is phased with checkpoints that allow you to monitor your progress and protect yourself from further injury. The WORKBOOK also includes the Worksheets and Log Forms you will need to fill in as you recover from your injury.